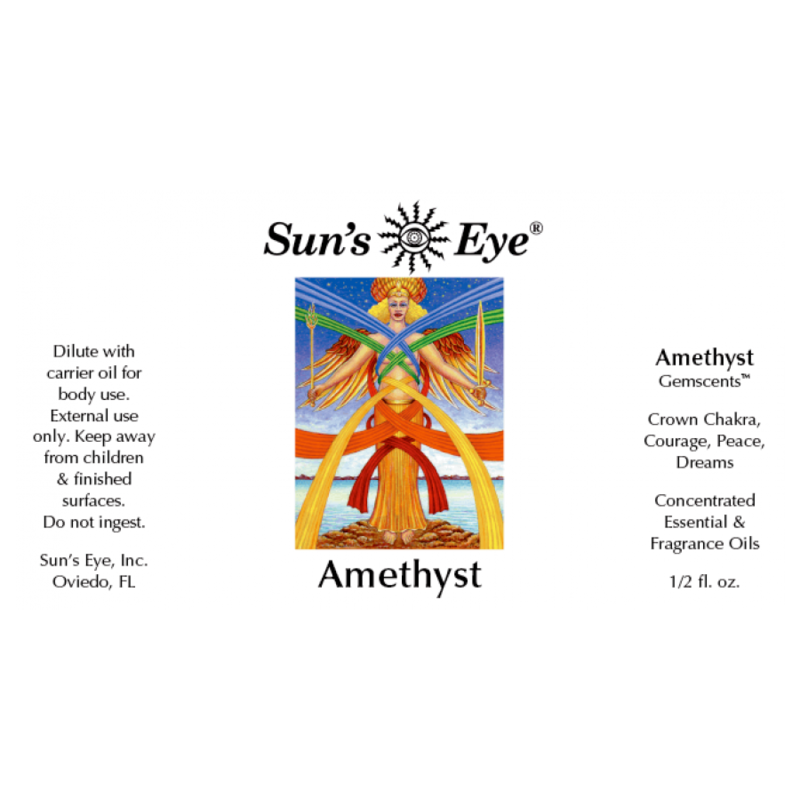 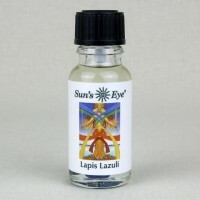 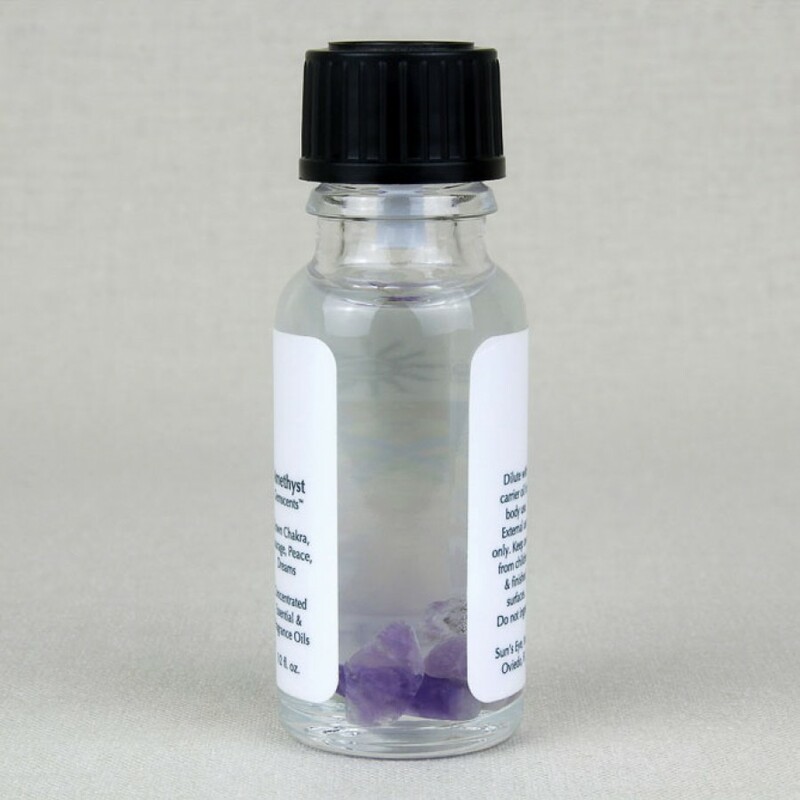 Amethyst Oil, featuring Amethyst Chips with floral top notes in a base of Sandalwood, is formulated to enhance courage, peace, and dreams. Item Number: SE-AME | Approximate Size (Inches): 0.50 wide x 0.50 deep x 2.00 high | Approximate Shipping Weight: 0.50 lbs. 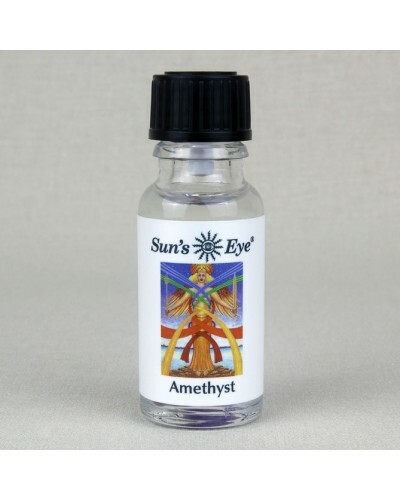 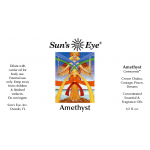 Our 5 piece Amethyst Platonic set includes one each of the following: Tetra..